Social bookmarking can introduce sites to others with relevant tastes, drive traffic to your sites,and valuable backlinks. 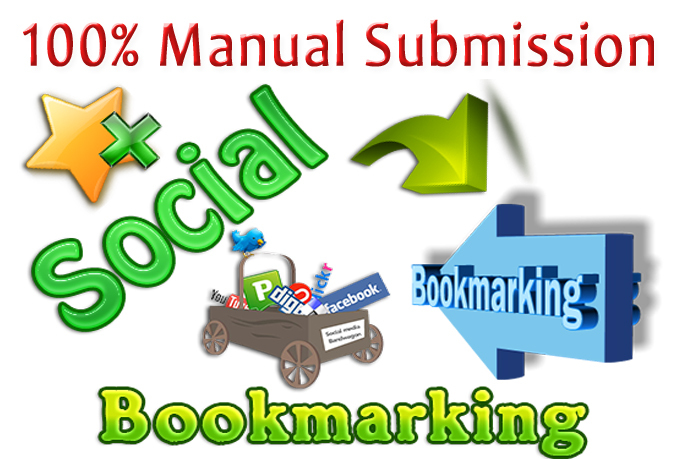 Submitting manually is your best choices for your websites or blogs be bookmarked properly and get indexed in google,yahoo,bing and other search engines. I will Submit your websites or blogs or video Links Top 20+ Social bookmarking websites with PR3 to PR9 like Stumbleupon, Diggo, Tumblr, Delicious, BuzzNet, A1-Webmarks, URL.org, etc.